Buddhist Temple with the Jade Dragon Snow Mountain behind. 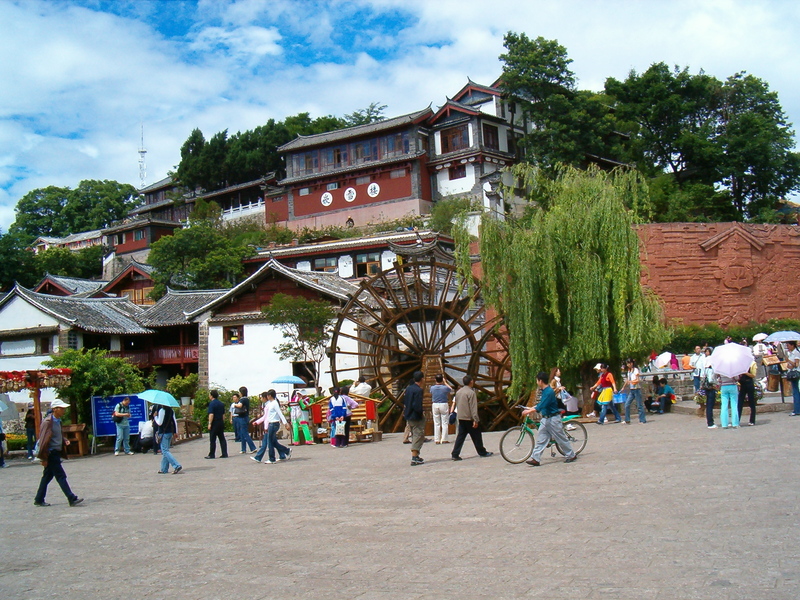 The old town of Lijaing. It is clear that tourism has greatly developed since I was there in 2007. The connection is through Kunming. 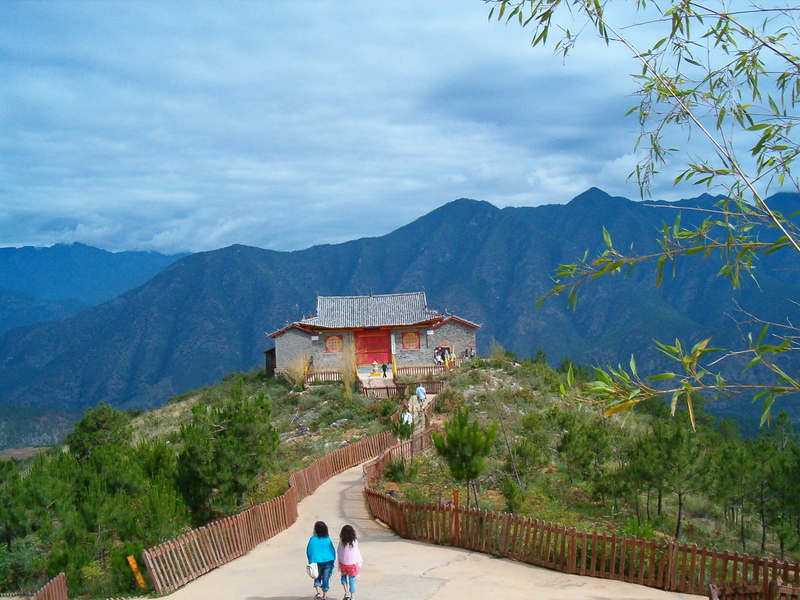 Lijiang is some 100 km further. 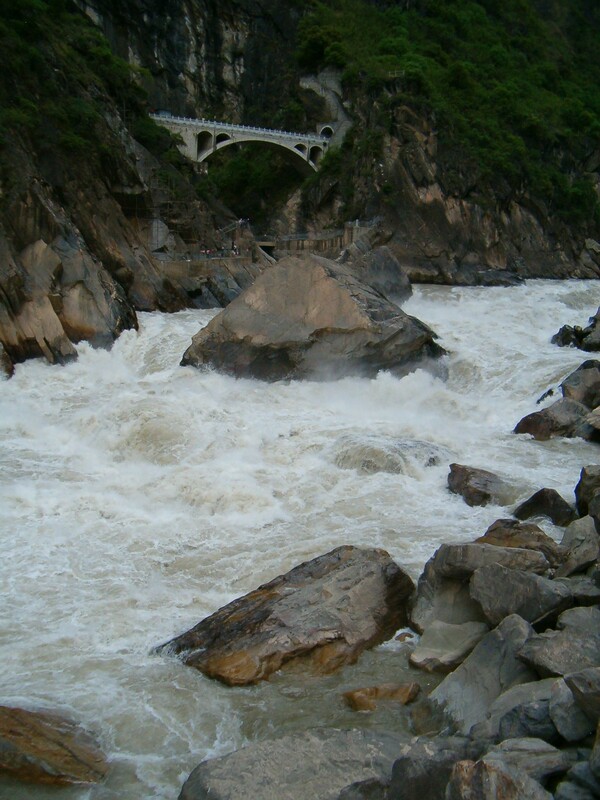 A big tourist attraction is the Tiger Leaping Gorge in the Jinsha River that flows into the Yangtze. It seems that the trekking trails were not developed in those days. I was on a study tour of China. Our bus stopped at one point and we descended a steep narrow trail down to the rapids. The climb back up was difficult. Some on the tour paid to be carried down and back up. Now many trekking trails have been developed. A great adventure if one is younger. It is one of the deepest gorges in the world, and incredibly scenic. 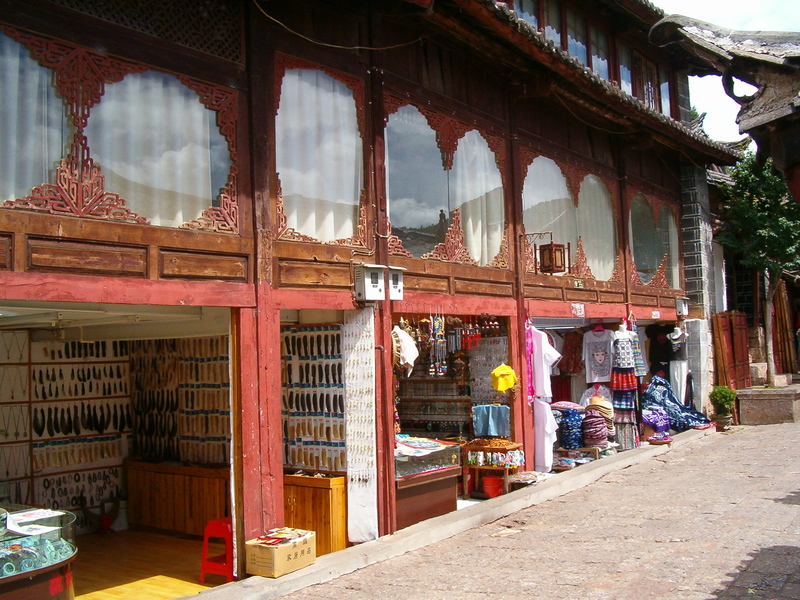 Shop in the old town of Lijiang. 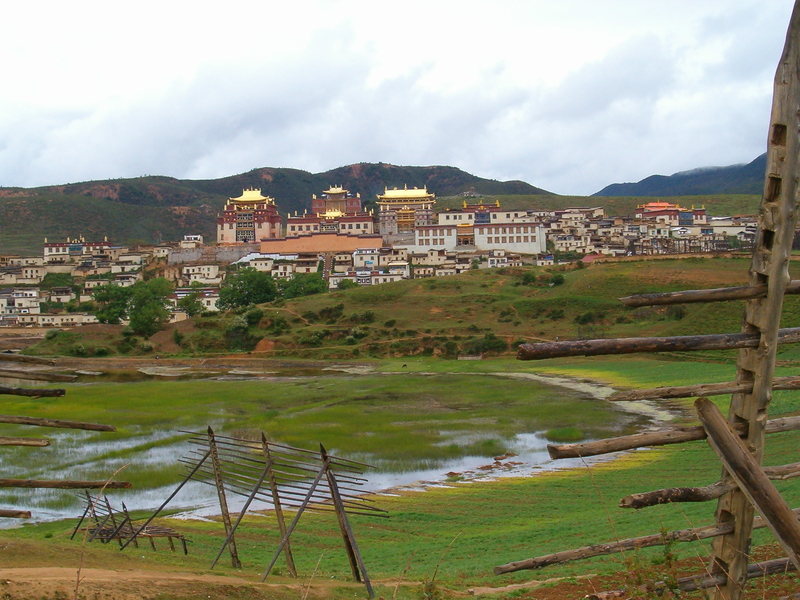 The monastery at Shangri La (Zhongdian). The name was changed to Shangri La to attract tourists, it seems. 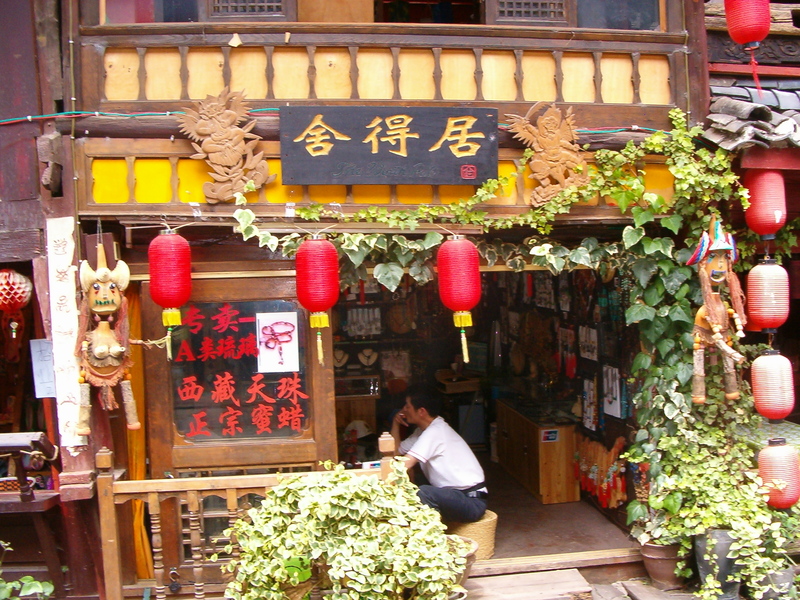 Inside the old town of Shangri La. 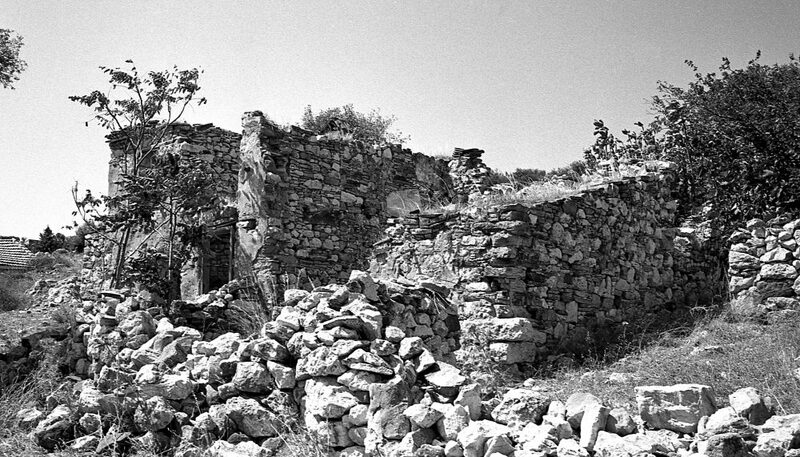 The town goes back some 1300 years. I guess I was lucky to get some pictures because most of this old town burned down in January 2014. It was a tragedy for tourism.